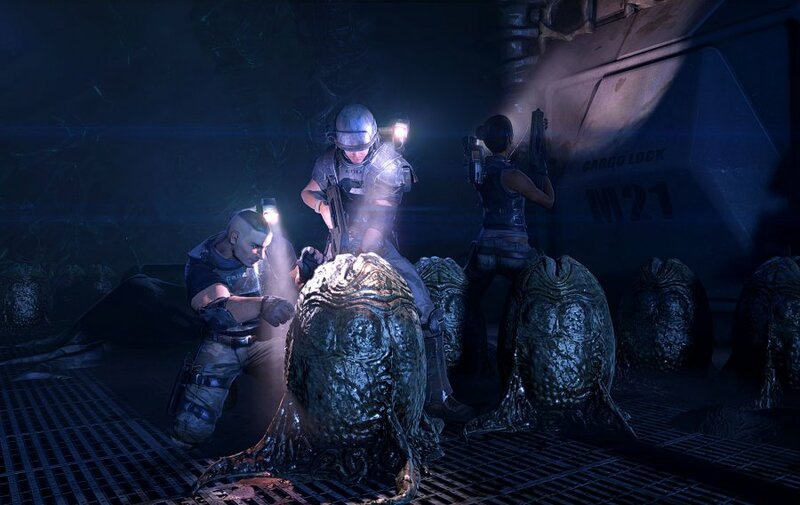 A set of new screenshots have surfaced for the upcoming first-person shooter from Sega and Gearbox Software, Aliens: Colonial Marines. The screenshots put viewers in situations where it's obvious disaster is about to befall one or more of the marines. In one scene a marine is dangerously close to the edge of a pit filled with aliens, where-in with another shot we see three potential victims of some face-hugging action. 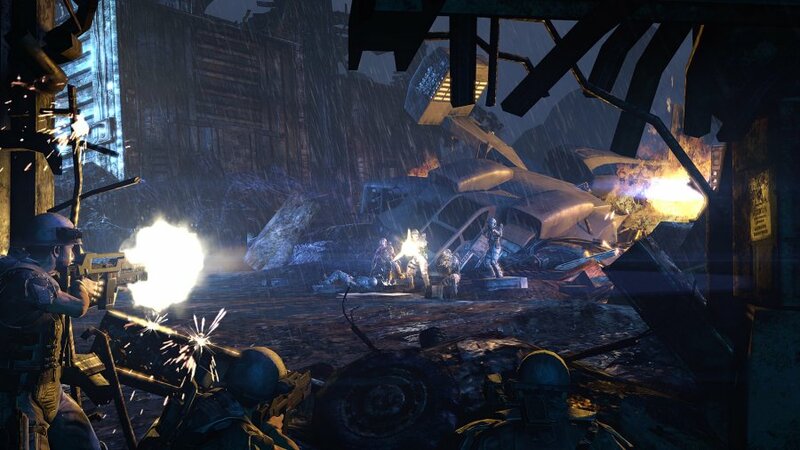 The screenshots follow-up on the new PAX trailer detailing Escape mode, and they were recently posted to the Aliens: Colonial Marines website [via AVP Galaxy] and other than the risk-centric shots of the marines being in some kind of xenomorphic peril, the other shots focus on acid being sprayed in the screen of the player as well as some marine on marine action. 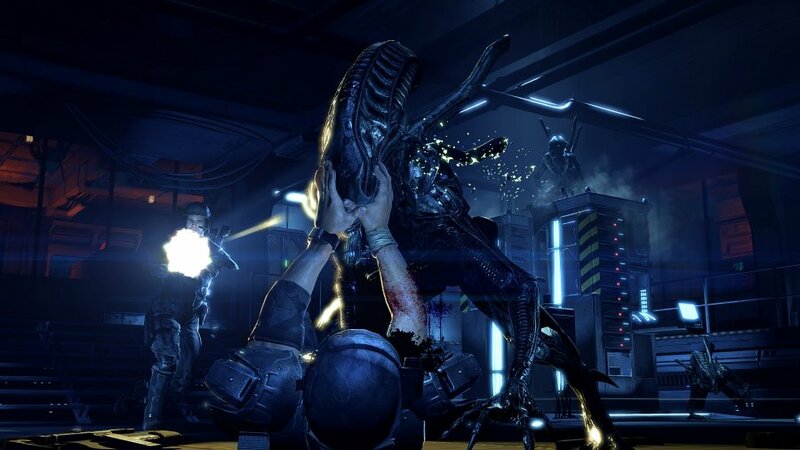 It's a little hard to tell exactly what Aliens: Colonial Marines will be like given that we've only seen walkthrough footage from conventions and promo trailers for specific modes or events in the game. Actual 1:1 gameplay footage hasn't exactly been forthcoming for Aliens: Colonial Marines which leaves me a little worried about what the real game will be like. Hopefully it's not going to be the Call of Duty In Space sort of thing that it appeared to be at E3 2011. 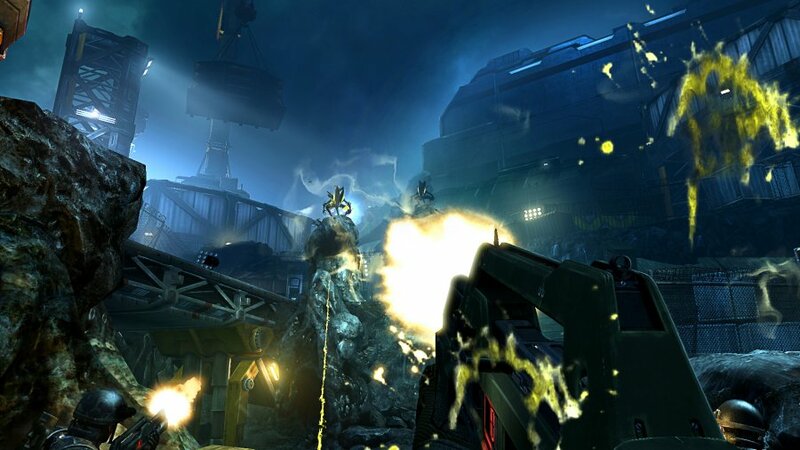 Nevertheless, Gearbox is focused on Borderlands 2 for the moment and they're probably getting ready to crunch-time it on Aliens: Colonial Marines to make it as polished as possible, which is due out early next year for the Xbox 360, PS3, PC and Wii U. 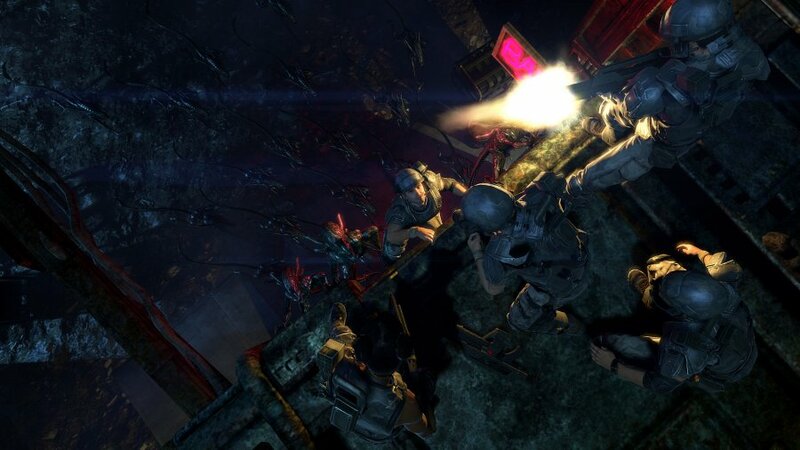 You can check out those new screenshots below or visit the Official Website for more information.